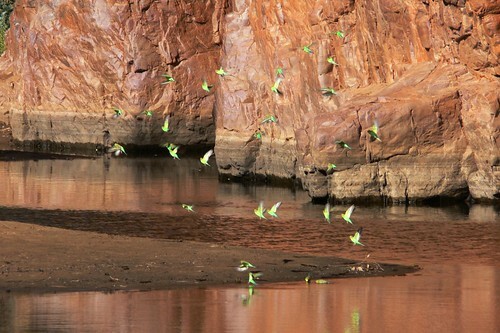 Australia is a land of parrots. They live across the country in a variety of climates and over 2 dozen of them by my count are shown in this excellent Australia Land of Parrots documentary narrated by famous actor Colin Friels, co-produced by the ABC (Australian Broadcasting Corporation) and PBS TV in the USA. The aerial shots of giant flocks flying across the dusty red heart of Australia’s outback, descending onto the edge of water sources and wheeling across the deep blue sky were nothing less than brilliant. Since I’ve traveled through many parts of the Australian Outback I recognised the scenery around several areas featured such as Rainbow Valley, Chambers Pillar and the Macdonnell Ranges. Australia Land of Parrots was filmed in high definition which means if you watch it on Bluray you’ll be able to see the parrots as the director intended with “exquisite detail and very saturated and beautiful colours”. Since ABC Shop charges the same amount for the DVD or Bluray if you have a Bluray player the optimal choice is obvious. I love to take photos of birds (see example photos above/below) so watching the documentary made me wish I too could spend months traveling across Australia with a camera and long zoom lens to photograph them with. 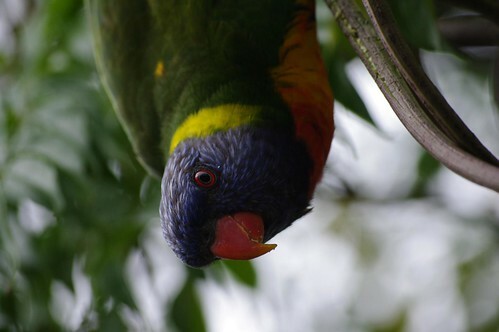 This isn’t surprising when you consider that the raucous cries and striking plumage of parrots like Rainbow Lorikeets, Cockatoos, Corellas and Galahs are familiar and welcome sounds and sights to people living in Australian cities. 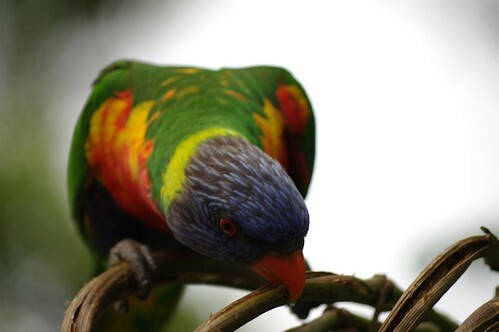 On a sad note Australia: Land of Parrots is the last documentary to be made by the ABC’s in-house Natural History Unit, which was responsible for the ABC’s nature documentary output from the 1970’s until 2008. During this time it won many awards in Australia and Overseas. You can buy Australia Land of Parrots on DVD or Bluray from ABC Shops or any DVD/Bluray store. The Single disk includes the main 52min documentary which was shown on TV as well as 56min of Extra Features. Indeed seem rainbow are beautiful, I love cockatoos, we can realize that wonderful creation of God!!! two days ago we went to zoo with our family and my kids were crazy about parrots, because when we was watching them they replied loudly on kids voices like responsing to us. it was fun. I recently watched this video at home because of my research about birds, parrots. What amazes me with this creature is their human-like ability. Not to mention their captivating colorful feathers.